At 11 years old, Hannah Simpson was told she couldn’t have a horse because they are too expensive. 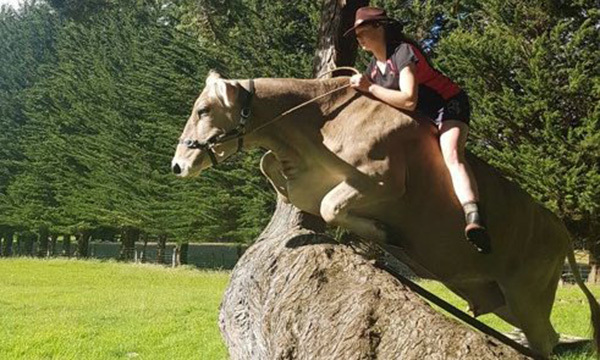 So the farm worker from New Zealand decided to hop on the next best thing instead – a dairy cow. Now 18, Simpson and her seven-year-old Swiss Brown, Leila, have become a regular sight on their daily rides.